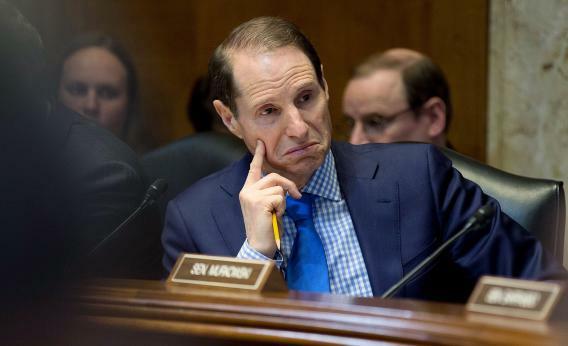 Ron Wyden's NSA letter: 26 senators vs. secret national security law. Ron Wyden stood with Rand, and now he’s leading 25 fellow senators (not including Rand Paul) in challenging the government again. - How long has the NSA used PATRIOT Act authorities to engage in bulk collection of Americans’ records? Was this collection underway when the law was reauthorized in 2006? - Has the NSA used USA PATRIOT Act authorities to conduct bulk collection of any other types of records pertaining to Americans, beyond phone records’? - Has the NSA collected or made any plans to collect Americans’ cell-site location data in bulk’? - Have there been any violations of the court orders permitting this bulk collection, or of the rules governing access to these records? If so, please describe these violations. - Please identify any specific examples of instances in which intelligence gained by reviewing phone records obtained through Section 215 bulk collection proved useful in thwarting a particular terrorist plot. Remember that the reason Clapper made his “least untruthful statement” about domestic spying was that Wyden prodded him. The NSA’s defenders (they do exist) claim that Wyden must have used some knowledge obtained in intel briefings to know what was happening, and know what Clapper could say. Much fuss was made during the Rand Paul filibuster that the other senators who rolled in were mostly Republicans. (The only Democrat was Wyden.) This letter contains 22 Democratic signatures and four from Republicans Mark Kirk, Mike Lee, Lisa Murkowski and Dean Heller. According to Paul’s office, the senator “didn’t think it went as far as it should” and wasn’t comfortable signing the letter when his changes weren’t adopted.